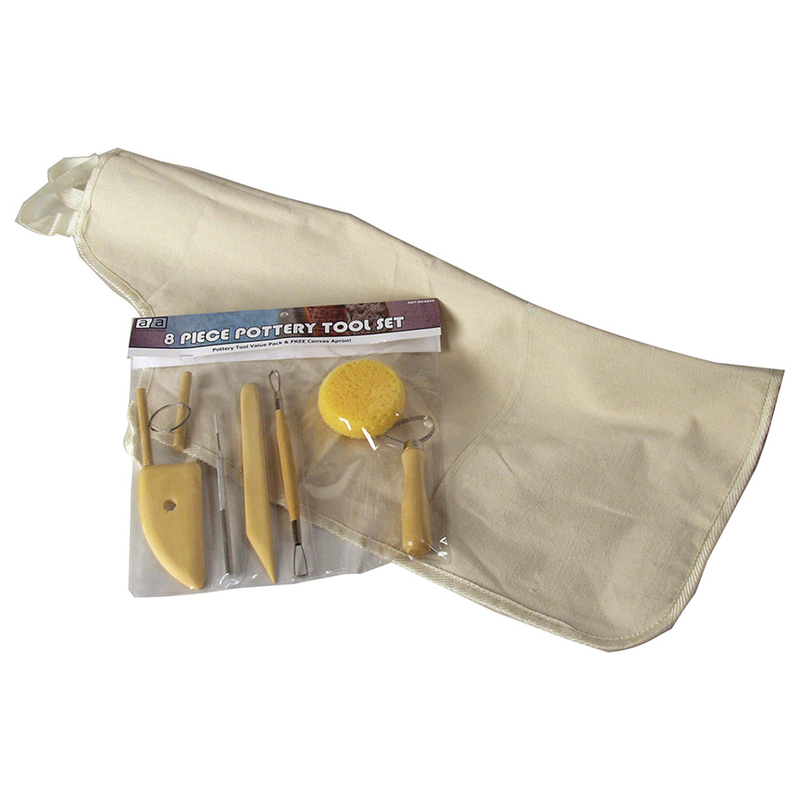 The eight most popular pottery tools available in a specially priced value pack with a free canvas apron. This kit contains one of each; loop tool, needle tool, ribbon tool, scraper, potter’s rib, wood modeling tool, sponge and wire clay cutter. Free goods value $9.99. Top quality Art Advantage potter’s tools are crafted with care. All wood parts are stained and varnished for added durability and extended life. Made for the serious ceramicist, Art Advantage pottery tools are affordable and will withstand the harsh environment of the ceramic studio.